Wacky Things My Kids Have Said. Kiyoshi, age 2: "Look! 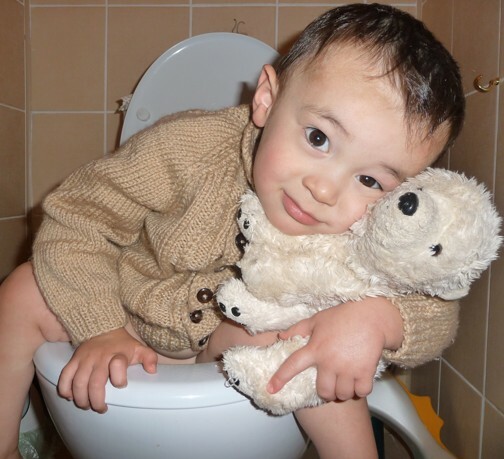 The poops is hugging each other in the toilet!" (Ahem, this quote had nothing to do with the hugging in the above picture. He was really talking about his poop in the toilet. This entry was posted in Funny Quotes, Laughter and tagged humor, kids, poop by Sharon. Bookmark the permalink. He & Kyrstin are soooo similar. Krystin recently said that there was a Daddy poop, a Mommy poop, and a baby poop in the toilet. I did check, and yes, there were. Haha! So much for my idea that these kinds of thoughts were unique to boys! I just found your blog. We’re in Zaporozhya region. Are you anywhere close to us? Welcome! Glad to see you here! No, we’re nowhere near Zaporozhya; we’re in Western Ukraine. However, my husband helped to plant a church in Zaporozhya about ten years ago. Ha ha! Now I wish that I HAD looked, if only because I’ve thought about it a lot since then, and I just can’t imagine what those “poops” were doing to make it look like they were hugging! But at the time I must have been too tired and distracted with the next child who needed my attention to do anything other than quickly wipe the poopy bottom before flushing the toilet. Yes, it is great fun to look back at what they said, especially as we tend to forget! There are things that my kids have done that I thought I could never forget, but a year later someone will say, “Remember when Samuel said such-and-such?” and I’ll realize that I had forgotten! I guess that’s one reason why I’m recording these funny sayings here on the blog. It’s partly for my own sake, so that I will not forget.